I’m sure you’ve heard about the health impacts of turmeric by now. 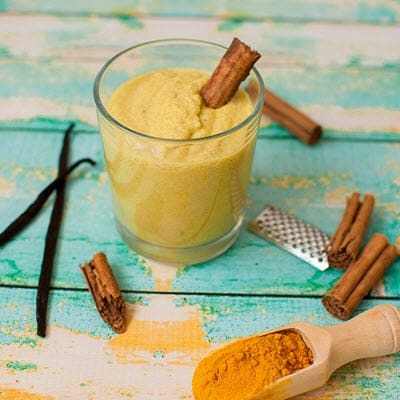 The spice is immensely popular as a superfood, especially in trending drinks like turmeric golden milk. The idea isn’t just hype either. Turmeric does offer some pretty amazing benefits. Most of them come from its active ingredient, curcumin. Did you know that you can also use curcumin for allergies? This isn’t the most common use of curcumin but why not? After all, allergies are frustrating and medications often come with side effects. This posts will explore ways that curcumin can impact allergies. That includes how much you should use and what relief you can expect. One recent study directly examined this topic, looking at the impact of curcumin on airflow and on nasal symptoms from allergies. The research was well-designed, using 241 patients and a double-blind design. Patients received either curcumin (500 mg) or a placebo orally for two months, with outcomes examined regularly. The authors found that the supplement significantly improved nasal symptoms. This included decreasing congestion, sneezing and mucous. The curcumin also promoted immune responses, helping the body to fight the allergy. Severity of symptoms was measured using an average symptom score, with a maximum value of 12. Participants taking curcumin experienced an average decrease from 8 to 2.8. No similar impact was found for the placebo group. These outcomes are powerful, especially as turmeric doesn’t have significant side effects. The topic of curcumin and allergies is a fairly new field. In fact, this study is considered the first evidence that curcumin can improve some allergy symptoms in humans. It’s also just a pilot study, so the evidence is limited. A similar result was also found for an animal study on the same general topic (1). But, there isn’t much proof beyond this. Which begs the question – why are we even talking about this? Well, the research may be limited but the underlying concept makes sense. We even know many of the mechanisms involved (2). More evidence is still needed to show the strength of curcumin’s effect on allergies, along with how to take advantage of the impact. Even so, it’s clear that the potential exists. This is reason enough to increase your turmeric intake. After all, turmeric has a good safety profile and is widely used in our diets. It is even non-toxic at high doses, which can’t be said for most medications (3). Alternatively, you may turn to curcumin supplements, like the study used. Supplements can often provide more benefits, as there is a higher dose of curcumin and it is easier to absorb. Turmeric fights inflammation and oxidation, due to the action of curcumin (4,5). These are key reasons why turmeric is considered powerful for health and is directly relevant to allergies. In particular, allergies are inflammatory diseases. As a result, decreasing oxidation and inflammation may help relieve some of the symptoms (6). Turmeric is often used in traditional medicine to treat respiratory conditions, along with other diseases (7,8,9). This suggests it is at least somewhat effective in that role. Research supports that idea too, indicating that traditional therapies may be relevant for treating allergies (10). There are also direct impacts on allergy symptoms. In particular, curcumin can limit the release of histamine by blocking mast cells (11). This is critical for improving the symptoms of allergies, such as decreasing levels of mucous. Curcumin can also increase antibody responses in rats, which could lead to improvements in allergy symptoms (12). Research also shows that curcumin can decrease immune responses by regulating the growth factor interleukin-2 (13). This is another mechanism that could help lower allergic responses, especially as this growth factor is related to allergies (14). Beyond all of this, both curcumin and turmeric have many impacts on the body, affecting a range of different pathways and mechanisms (15). This suggests that there are many more benefits than we currently understand. The site Examine.com considers this topic in more detail and uses a Human Effect Matrix to weigh up the current evidence about curcumin health benefits. That article can help you see where the most evidence is and what uses of curcumin are the most beneficial. It’s clear that curcumin offers some benefits if you suffer from allergies. So, how do you take advantage of this? First off, there hasn’t been enough research to determine the ideal dose. Researchers don’t know how much curcumin (or turmeric) you should be taking to see benefits. The study discussed above used a capsule containing 500 mg of curcumin. This suggests that this dose can decrease allergy symptoms. But, this is only one study. It isn't clear whether similar effects would exist for smaller doses or for turmeric. Determining the best dose is also challenging, as turmeric brands use different formulations. Some will have higher levels of absorption than others and there may be other differences too. For example, brands typically report the levels of ingredients they used, such as 1,000 mg of turmeric root extract. As a result, the dose of curcumin won't always be clear. The same challenge exists for general health benefits and also for supplementing with turmeric. Some recommendations suggest you need between 1 and 2.5 grams of turmeric to see health benefits, others say between 1 and 2 teaspoons (16,17). Even then, studies have used very different doses, so we don’t really know. If you’re using turmeric powder, then 1-2 teaspoons seems like a reasonable place to begin. With supplements, it’s best to follow the instructions on the label. Related Article: What’s the Best Turmeric Supplement in 2018? There are multiple ways to use curcumin. They all give you access to the benefits of curcumin. However, each approach has its own advantages and disadvantages. One method is simply supplements. Curcumin tends to be poorly absorbed, so supplement manufacturers focus on formulations that can increase absorption. Most products also contain more curcumin per dose than you would typically find with turmeric powder. We’ve highlighted the best four curcumin supplements that are currently available, along with what they offer. Supplements may also be good if you don’t like the taste of turmeric or if you just want something convenient. But, many people prefer food-based alternatives. The simplest way here is to just add turmeric to your cooking. 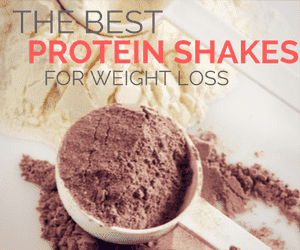 For example, the site Paleo Hacks offers a list of 40 Turmeric Recipes. These aren’t just recipes that contain turmeric either. Many of them use turmeric as a key component of their flavor profile. Turmeric golden milk is a common choice as well. The video below shows one method for making it and you can check out this post for more details about the concept. The drink is particularly relevant for allergies simply because it is warm and soothing. It’s a great way to make you feel better too. The golden milk is normally made with non-dairy milk, so you don’t have to worry about any allergy impacts from the milk. As the site Mary Vance NC points out, you can also add in raw honey. This addition brings in extra benefits, especially for allergies. Turmeric golden milk is also naturally caffeine-free. That makes it perfect for a drink at bedtime or when you’re just trying to unwind. Many recipes contain black pepper and fat as well, so you’re getting the best possible absorption of the compounds. There is a high demand for curcumin because of its many benefits. Unfortunately, there are curcumin products claiming to be 100% natural even though they have synthetic, petrochemical-derived ingredients. This adulteration issue should be a concern for those who want to take curcumin in supplement form. That’s very true. It’s always important to pay close attention to the brands. There are reliable ones out there, along with plenty that aren’t.